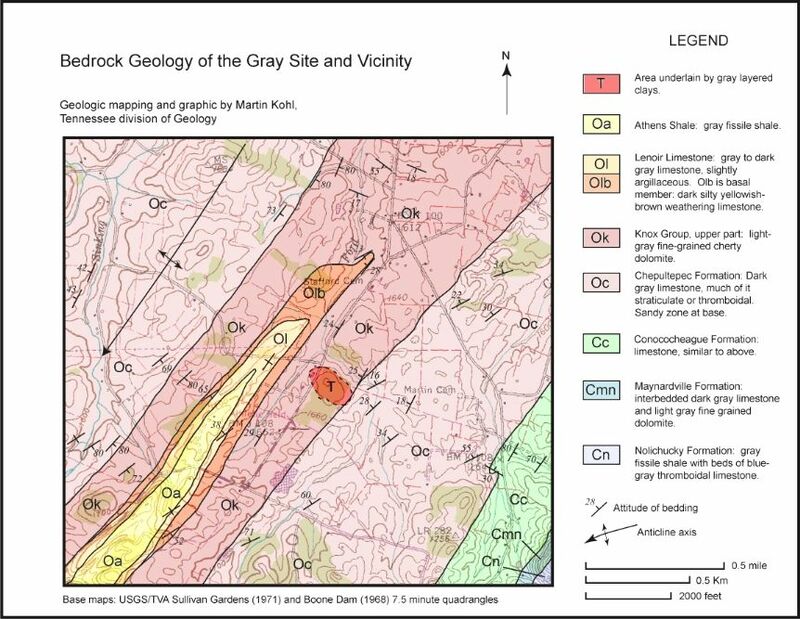 Bedrock geology with approximate contacts. Basemap is substantially out-of-date. highway excavation. They were plotted on a basemap of the planned excavation without the use of standard surveying methods.